Week before last I got to go to the Mommy and Me group at the hospital. The topic was dealing with criticism, and one of the moms mentioned how she had to tell her parents that she would not tolerate any negative comments, no matter how innocent, about her daughter's body. Interestingly, this started a pretty fierce conversation among the moms about what our babies (particularly the girls) would have to deal with to accept their bodies and live healthfully. And none of these kids are even 6 months old. There were a lot of things I never thought about dealing with before I became a mother, and this is one of them. Until this conversation, I just thought Matt and I were doing good to love Cadence as she is, which is pretty petite, with chubby thighs, and fuzzy hair - a very cute look for a baby. But what about when she's 5 or 10 or 15? Will boys tease her? Will she think the other girls are prettier? Will she be tempted to diet or worse? Can our acceptance of her overcome the pressures of the media, her friends, or people who make seemingly innocent comments at church or school? Last week was the 50th anniversary of the Barbie doll. I happened to hear a radio show with a panel discussing Barbie's impact on society. It's probably obvious that many feminists are not Barbie fans because of the unreal standard of beauty she represents. Apparently, girls are ambivalent about Barbie too - there's been several studies done of the violence girls do to their Barbies. A lot of girls harm their Barbie dolls, and psychologists think this is a way for girls to take out their frustrations about the type of femininity that she represents. So I was thinking. Does Cadence get Barbies? I loved my Barbies. I was not a girl who harmed mine - possibly because I think I bought most of mine with hard-saved allowance money. I played with Barbies and I turned out okay, right? Well...maybe not. As a teenager, and even well into college, I was ashamed to wear a swimsuit in public and I was convinced that I was overweight. I had a friend who actually said I was fat and two other friends (one guy, one girl, on two separate occasions) who suggested I needed to work out regularly to slim down. But I look back at pictures from that time in my life and I am tiny! The biggest clothing I was wearing couldn't have been more than a size 7! It's not fair to blame Barbie for body image problems that are perpetuated by everything from Disney movies to magazine covers to your favorite sitcom. But did my affection for Barbie and the perfection she represents contribute to my distorted views later? I don't know. I know my family was never negative about how I looked and my exposure to negative media was fairly limited. I finally asked Matt today what he thought about Cadie and Barbies. He said there's probably better things we could spend our money on, but we're not going to freak out if someone gives her one. Or if she plays with them at a friend's house. I know there's a case with a few of my favorite Barbies and their best outfits waiting for her at my parent's house. My mom made me save a few when I was teenager and wanted to sell them in a garage sale. I think someday we'll get them out, admire their dresses, and have a talk about what makes a woman really beautiful. As I read your Blog, I thought, how blessed Cadie is to have a Mom who is so caring and thoughtful and thinking of her future and her feelings. You and Matt will lead her and teach her to love herself because she is "Wonderfully made" the way God intended her to be and she will grow up just fine. 5th or 6th birthday from a friend--what's a mother to do? (And you did take care of all your dolls--so there may be a Barbie in the box also). Now the concern continues into your generation. You will be wise and thoughtful as evidenced by your blog. Another thought--it breaks my mother's heart that you were hurt, concerned, and upset by comments made by others. But I do believe you handled it remarkedly well. You have always been beautiful (and you were tiny and continue to be so even with Cadence's arrival!). Lastly--I strongly "AMEN" Dassa's wise comments. Now give Cadence a hug and kiss and tell her that she is the most beautiful little girl around. 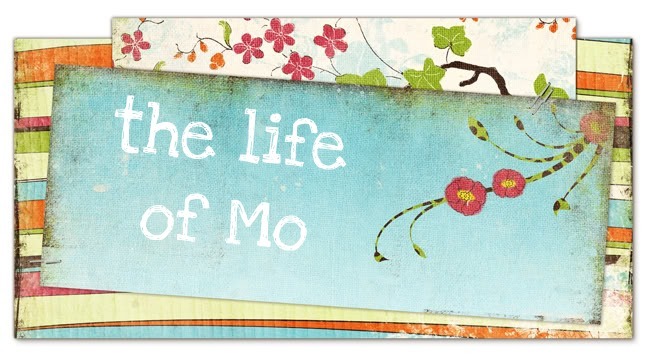 What a great reflection, Mo! Thanks for sharing it. The things we women have been helped to believe is amazing--I'm in the camp of "it's not all the fault of one thing," but I certainly can see how lots of things together helped us think what we did/do. Reading your honest mother's concerns and decisions made with Matt brought tears to my eyes. I love your idea for how to use the Barbies in the future. One day, Cadie will know that you really thought hard about these kinds of things. That will be a good gift for her that is separate from the decision itself. Thanks for sharing your thoughts with part of the world. The only harm my Barbies came to was being my sister's and I "Rescue 911" victims in the pool (I guess there weren't enough pool toys that summer! ), the terrible haircut I gave one due to nappy hair caused by the chlorine water, and someone decided to chew on a Barbie's foot thus flattening it. That one could never wear two shoes again!